It was Minor League Opening Day on Thursday, one of my favorite days of the year. Instead of just following the MInnesota Twins, we now will have updated from the Rochester Red Wings, the Pensacola Blue Wahoos, the Ft. Myers Miracle and the Cedar Rapids Kernels most days for the next five months. 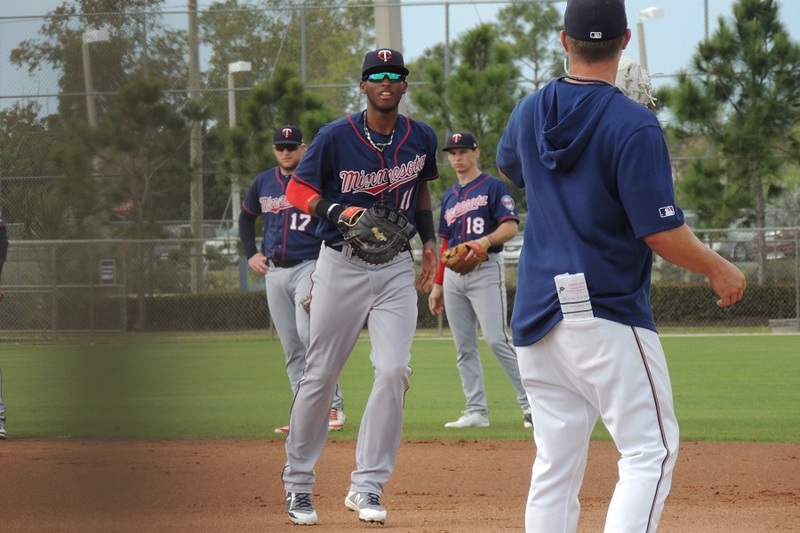 And, every day until the end fo the season, we will post the Twins Minor League Report. Our goal with these reports is to provide Twins Daily readers with a one-spot stop to find everything from the Twins system that day, transactions, notes and game updates. We will highlight how the pitchers perform. We’ll note multi-hit games and extra base hits and provide some other highlights from the game. Please feel free to ask questions if you have any in the comments. If you were at the game, be sure to leave your observations as well. Find out everything that happened in the Twins system on Thursday, starting with the Transactions of the day. There were no transactions in the Twins system on Thursday. Maybe some of you saw that in the past week a couple of Twins minor league pitchers, Colton Davis and Anthony Marzi, chose to retire. Here are the Opening Day Roster Previews for each of the Twins full-season affiliates, in case you missed them on Monday. Ronald Torreyes knows how to start a season. He was the Red Wings second batter in the first inning, and he launched a long home run. It was the first hit in the organization in 2019, the first home run, the first run and the first RBI. Kohl Stewart got the Opening Night call for the Red Wings. Things didn’t go well early for the right-hander. He went walk, strikeout, walk, strikeout with the first four batters of the first inning. He then gave up a bloop single to score run. Then a wild pitch scored a second run. He needed 34 pitches to complete the first frame. The Twins have a rule that if a pitcher throws 35 or more pitches in an inning, he will be done for the night. Stewart was one pitch from being done. He went on to throw four zeroes on the scoreboard and earned the Win in this contest. In his five innings, he gave up the two runs (1 earned) on just three hits. He walked two, hit one and struck out eight batters. Ryan Eades came on and struck out four over two perfect innings. He needed just 18 pitches. Then Tyler Duffey came on and earned the save with two scoreless innings. He struck out four as well, though he did hit one batter. LaMonte Wade led the offense. He went 3-for-4 with a walk in the game. Wilin Rosario went 2-for-5 with a home run. Randy Cesar had a walk and a big, two-run homer that gave the Red Wings the two-run lead late in the game. Opening Night was pushed back a day as rains came to Mobile. For Mobile, it means that they will get to face Jorge Alcala and Brusdar Graterol on Friday! Hard to believe that in the sixth inning, Jeff Smith’s Charlotte squad tied the game at three. The potent Miracle took off at that point, led by the return of Lewin Diaz. Diaz played half of last season with the Miracle but unfortunately needed wrist surgery and missed the rest of the season. He continued his body transformation in the offseason and his work paid off on Opening Night. The now-slender slugger went 4-for-5 with a double and three RBI to lead the offense. Bryan Sammons gave up an unearned run in the first inning, but he was able to escape danger several times. He gave up just the unearned run on seven hits and two walks over just 4 1/3 innings. He left the game with the bases loaded and one out in the fifth. Anthony Vizcaya came on and struck out the fourth and fifth batters of Charlotte. It was Vizcaya’s first game with an affiliated team since 2014. The Miracle got on the board in the 2nd inning when Lewin Diaz doubled off of the wall in right field to score Travis Blankenhorn. Ben Rortvedt followed with a single to right that scored Diaz. Following the Vizcaya strikeouts in the top of the 5th, the Miracle got back on the board in the bottom of the inning. Akil Baddoo homered to the berm in left field for the first Miracle homer of the season. But as mentioned, the Stone Crabs tied it up in the sixth. The Miracle regained the lead 4-3 and then Royce Lewis put together a long at-bat that culminated in a two-run single that broke the game open. In the bottom of the eighth inning, the Miracle really broke things open with a five-run inning. The loaded Miracle lineup got production from more than just Lewin Diaz. Ben Rortvedt went 2-for-4 with a walk and two RBI singles. Akil Baddoo added a triple late in the game to go with his homer. Travis Blankenhorn had a walk and a double, and he scored three runs. Vizcaya was clutch to end the fifth inning, but he gave up two runs on two hits and a walk the next inning. Alex Phillips came on and struck out four batters over two scoreless, one-hit innings. He was hitting 95 and 96 mph consistently. Johan Quezada pitched a scoreless ninth frame, and he was hitting 97 a couple of times in the inning. Blayne Enlow returned to the Kernels after a solid showing in his first full pro season in 2018. He earned the Opening Night call for the team this year. Things went all right the first couple of innings. He gave up leadoff walks in the first two innings, but neither came back to hurt him. He did give up a solo homer in the second inning. But then came the third inning. Enlow faced seven batters. He walked one and the other six got hits, the final was a double. Austin Schulfer came on and walked the first batter he faced to load the bases. However, he then struck out the next three batters to end the inning. Schulfer was good. He struck out five batters over three scoreless, two-hit innings. Jose Martinez came on next and was charged with four runs on six hits and two walks in 1 2/3 innings. Carlos Suniaga got the final seven outs for the Kernels.He gave up two hits and struck out three. There wasn’t much offense for the Kernels. The team scored two runs in the sixth inning, on RBI singles from Andrew Bechtold and David Banuelos. Yunior Severino led the team with a 2-for-4 game. #19 - Jorge Alcala (Pensacola) - Rained out. Please feel free to ask any questions and discuss Thursday’s games. It looks like maybe you reversed the score in the Cedar Rapids headline. I saw it and was thinking "sweep"! Yay! The minor league reports are back!! So good to see what the kids are up to again.Thanks. One day in the books, thanks Seth.And any day is a good one when the organization has a WINNING day! Looked at that picture of Diaz, is he really that skinny?It's only one game, but what a start to the season. Is Ryan Eades ever going to get a shot with the Twins?Was watching gameday for a bit while he was in and getting the 4 K's.Also saw this Phillips kid had 4 K's in a couple innings.See he was signed at the end of last year and got a few innings before the season ended.Nothing else on this kid other than he is from Baylor.If last night is any indication of what he can be, what can you tell us about him, Seth?What has he been doing since college or did he graduate in 2018? Also, do you think Rortvedt read your Top 20 yesterday and has a bit of a chip on his shoulder? The five pitchers scheduled to pitch today could be the Twin's rotation in a couple years. Wow! Looks like Rooker is off to his usual tepid start. I bet he is getting tired of that. "The Twins have a rule that if a pitcher throws 35 or more pitches in an inning, he will be done for the night." Wow. What an abitrary rule to have. Is this new, or a Falvey/Levine era thing? I don't believe that's new, I'm sure Seth knows, but I really like it. Having something rigid like that ensures your minor league managers are clear on what is OK and what crosses the line in terms of abusing a pitcher. To put it into perspective, Stewart averaged about 17 pitches per inning in the big leagues last year, so 35 is a lot for one inning. You throw that many competitive pitches without a break and I imagine there becomes a risk your mechanics breakdown, which creates an injury risk. Also, if you need that many pitches in an inning you're probably not doing so hot anyway. So there's a good chance the manager is thinking about Plan B at that point regardless of any concrete rules. Yes, Diaz is that skinny. It was remarkable to see. It was definitely a big topic on Twitter when I was down there. He's put in some serious work. And it's always nice to see it pay off right away. Eades deserves an opportunity and he does seem to have taken a step. We'll see how the season goes, and obviously with Reed, Magill and Moya on the IL and Romero and possibly Reed ahead of him, it'll be deserved if he does. Alex Phillips is from Baylor, where he was really good. He had Tommy John and ended up not getting drafted. He went to an indy league and the Twins signed him last year and he was a huge part of the Miracle in their playoff run. From the play-by-play last night he was hitting 95 and 96 mph last night. So yeah, definitely a reliever to watch. It's possible Rortvedt read the rankings yesterday. I know a lot of player and others do read this. I don't' know if not being on that is going to put a chip on his shoulder. He doesn't need it. He's really good. I really appreciate the reports. Thanks. Riley didn’t start. Is he healthy? Nice to see Duffey and Eades with two solid innings each from the pen. I bet Rooker isn't even a little worried about one game. He's got a good head on his shoulders and definitely great perspective. But like last year, AAA will be an adjustment for him and any of them moving to the level. Every team/organization has that rule. Like I said, it used to be 30. And it makes sense. That many pitches means base runners and a lot of stressful pitches. It is my opinion, that throwing a lot of pitches in a single inning is far more detrimental to a players arm than the total number of pitches he throws in a game. I am glad the Twins have this as a rule. It's about how they get to that pitch count, not the total number. This isn't a real example, but speaks to the idea: I'd let my guy throw 150 if he's only throwing 10 pitches per frame. Nice to see Stewart bounce back and Diaz could be a nice sleeper in our system this year. I expect Rortvedt to get to AA fairly quickly. I like him a lot and he and Jeffers both in Ft Myers doesn't make a lot of sense. Fun With Numbers: This is the first time since 2016 that Ben Rortvedt has gotten a base hit in his first game of the season. OK, that's not so unusual, but I'm happier to see a good start to his season than a slow one. I'd also start bunting more and otherwise playing for one run, after a certain point. Thanks Seth (and future thanks to all the "reporters").....I love this part of the site. In my mind, I had the Twins basically giving up on Diaz. Seems he's been around forever, and his results haven't been very encouraging, given how the bat will need to play at 1B/DH. But the perception has a lot to do with the ridiculous situation for international players where they're professionals at 16 and rule-5 eligible before they can clear A ball. Fact is, Diaz is the same age as Larnach, playing on the same team...even though, at this point, most of us (probably for the wrong reasons) have infinitely higher expectations/hopes for Larnach. Interesting. The Miracle gave out Championship rings for the opener. They have some great giveaways this year, with Lewis and Kirilloff bobbleheads also. Thanks, Seth.Love reading these during the season. I've missed the minor league updates so much.Great to see them back again. Sounds like there were some good performances in the minors leagues yesterday.Great to see. I'm really curious to see what Diaz does this season. and Graterol and Grzelakowski bobbleheads too! I am looking forward to tomorrow to see what they accomplish.